The card above is of interest in at least four ways. 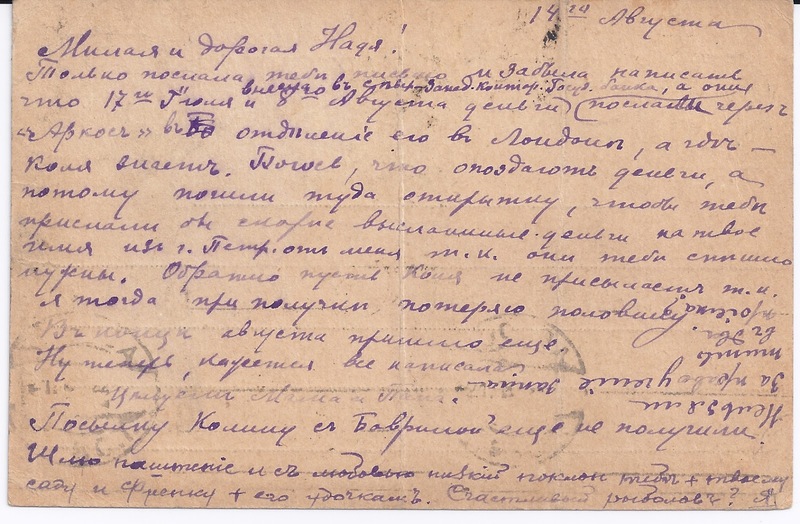 For the Russian Censorship collector, there is a Petrograd Three Triangle civilian censor in the middle of the card. But it's upside down and only a part strike, so you wouldn't choose it if you had the choice of a better one. 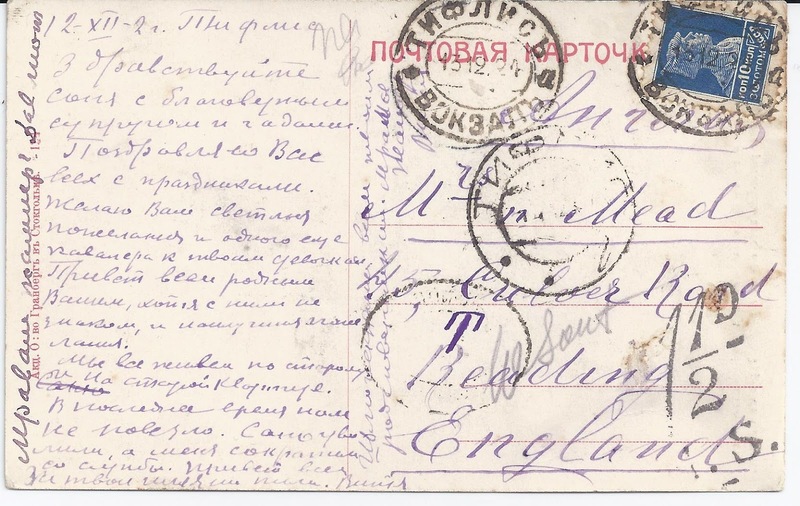 For the Russian Stamp collector, this is really interesting (and I didn't at first see it). 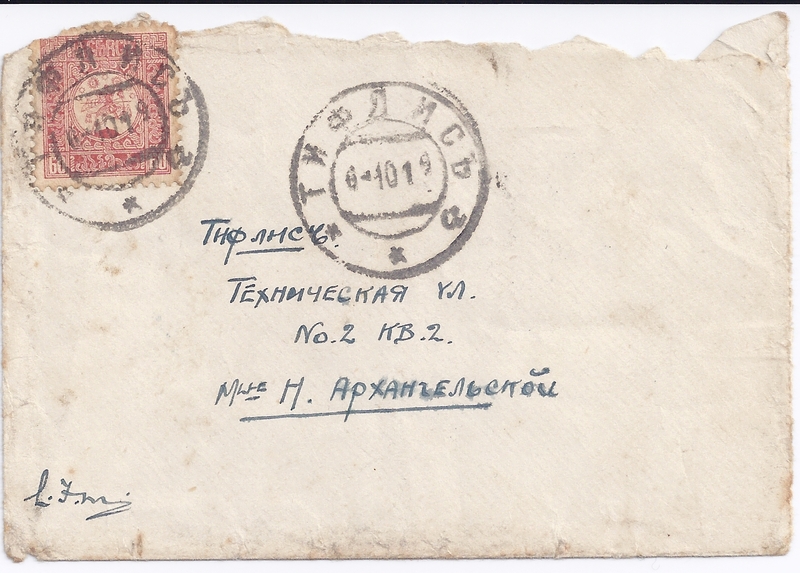 Look at the one rouble stamps on an enlarged image. They are perforated well off-centre. More importantly, they are examples of the scarce post - revolutionary perforation 12.5 which all catalogues give a big premium on. I hate measuring perforations and rarely do but I have checked these all round and, yes, they are 12.5. Pity about the brown toning at the top. That said, I have absolutely no idea what this card is worth as an example of that perforation used on a regular item of mail. 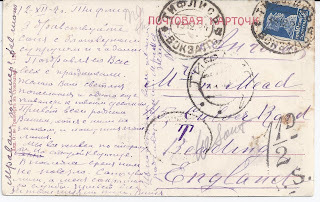 But examples must be scarce if the catalogues are right about the basic stamp. 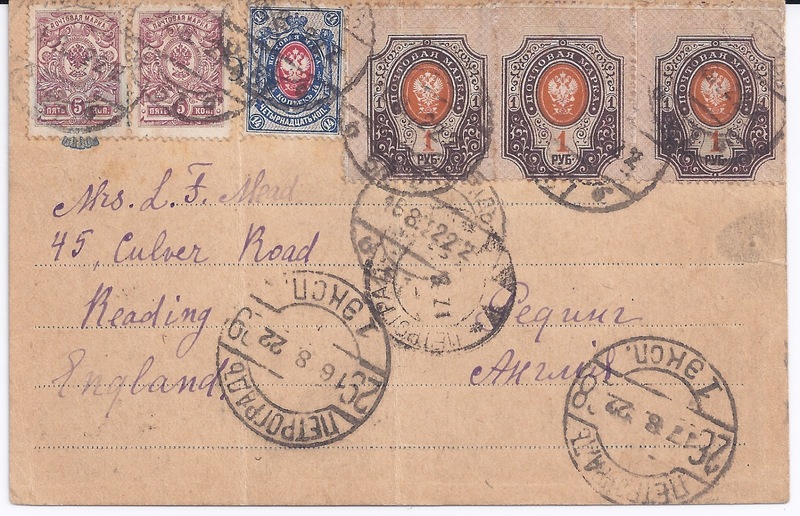 For the social historian - and this is what I first noticed - the interest is in the addressee, Mrs L F Mead. She was the wife of Lieutenant Leonard Frank Mead (b 1898) who served with the Royal Flying Corps and then with the Royal Air Force in British-Occupied Batum. 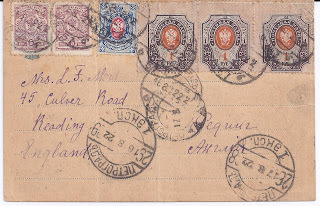 His letters home are well-known to collectors of British Batum. 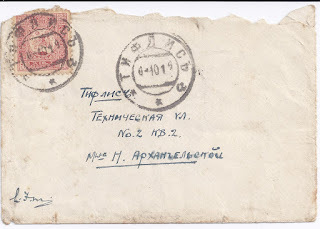 He also visited Tiflis and it was probably there that he met Nadia Archangelsky who became Mrs L F Mead. 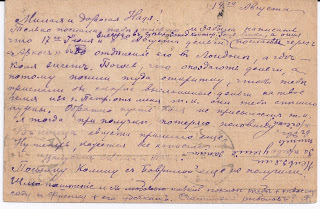 [See now the Postscript] The card is from her family who had by 1922 moved to Petrograd.